Set of two nickel hooks. 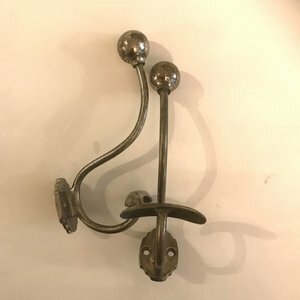 Vintage hook for towel and bathrobe. 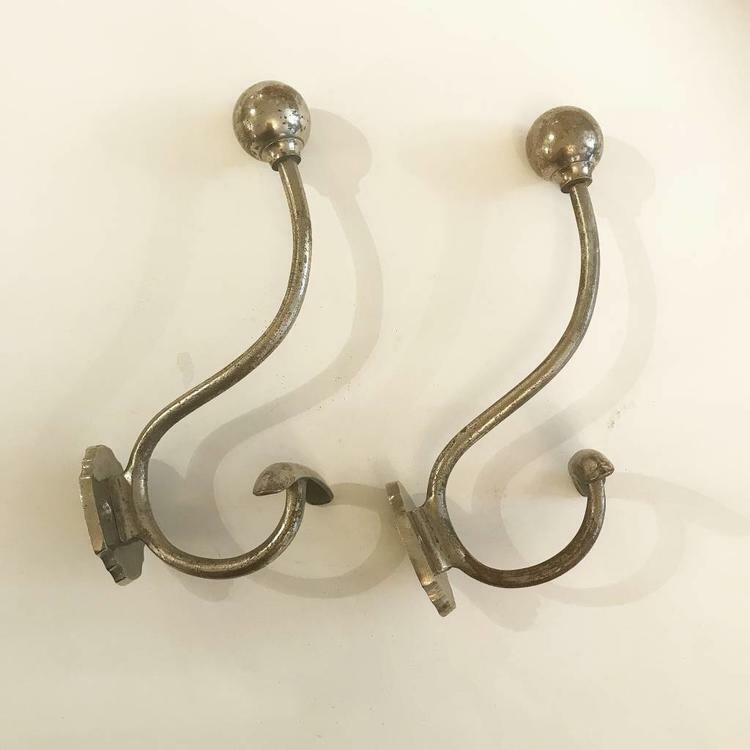 Set of two vintage hooks. Ideal for a classic setting in the bathroom. Very pracitical. 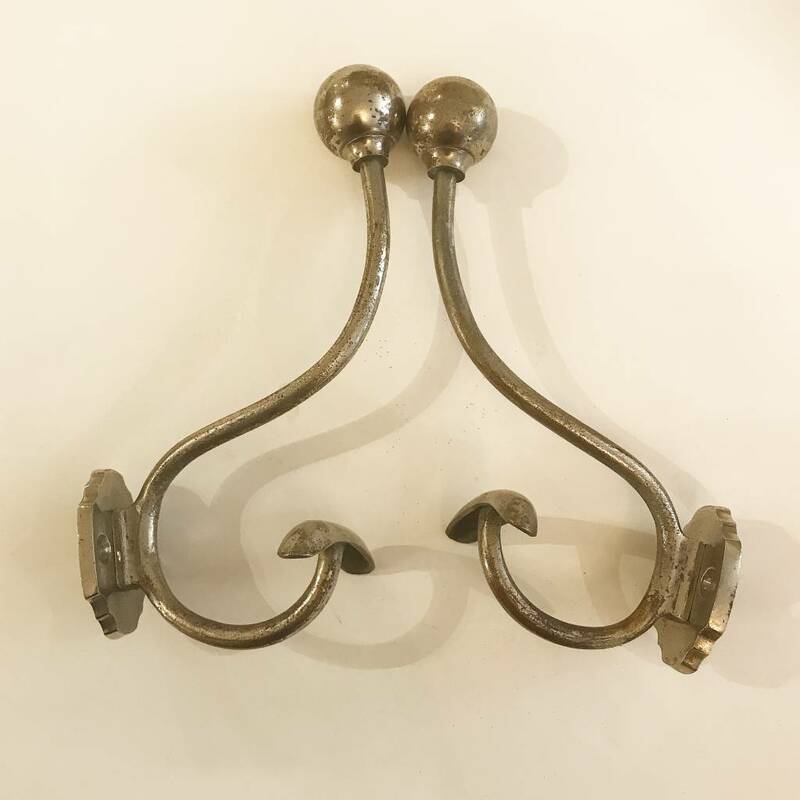 Can be used for towels and bath robe. Slightly worn nickel with a lovely patina.